The Sacramento Kings are buyers at the trade deadline. Let that sink into your mind. Hopefully, it doesn't explode. The Kings have already made their first move of the day, sending Iman Shumpert to the Rockets in a three-way deal that netted them Alec Burks. They weren't done wheeling and dealing and have now landed a former NBA champ. 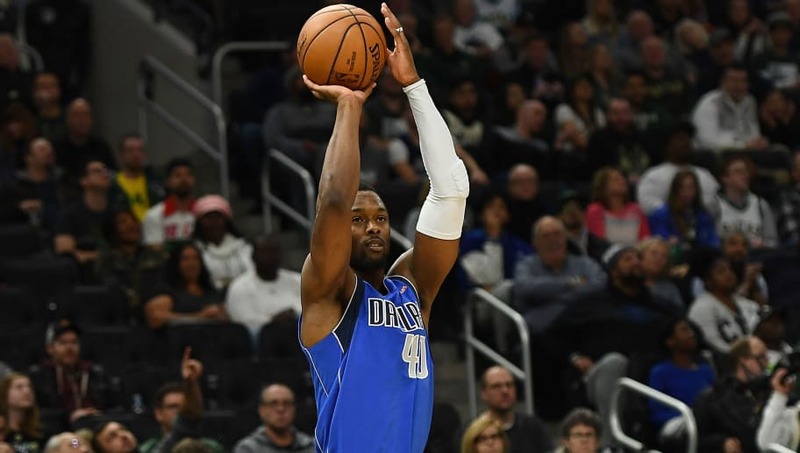 The Kings have acquired Harrison Barnes from the Mavericks. That's right, this is a playoff push from Sacramento. The Kings are on the cusp of the postseason, sitting in ninth place behind the Clippers by one game, a team which just traded away its best player. Having an experienced forward like Barnes could be outstanding, with the seven-year pro averaging 17.8 points and 4.3 rebounds. Barnes has not lived up to his potential when he signed a max deal with the Mavericks, but is still just 26 on a young team looking to build a core for the future. Speaking of future, that's all the Mavericks currently care about. Zach Randolph is a free agent after this season and Justin Jackson is in his second year with much to prove. The most important part of this deal is avoiding Barnes' $25 million player option for next year. They weren't intending on contending this season and are just looking toward extra cap space for when Kristaps Porzingis is healthy enough to return. This trade deadline has been wild, but not as wild as the thought that the Kings could sneak into the playoffs for the first time since 2006.